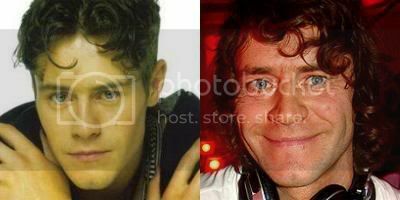 PlanetSkaro > Forum > General Discussion Forums > Music > Which Member of Take That Has Aged Worst? 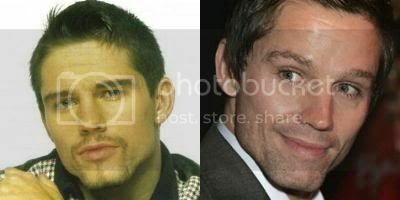 View Poll Results: Which Member of Take That Has Aged Worst? Thread: Which Member of Take That Has Aged Worst? Yes, it's a matter of life and death. Almost literally death in some cases. Take That were the dishy band of their day, all the girls loved them (except the ones who are going to now tell me that they didn't!) There was Robbie, Howie, Marky, Jasony and another one, all geared to be the ultimate Boy Band of All Time Ever. But how have things changed? Are they still the beauties they once were or have the years been cruel? Whose face is now a saggy collection of mouldy potatoes? And who has survived intact? Tell us! Here's a little reminder of which That is which. Sir Robert Williams F. Williams. Judging by those pictures, Howard just shades it over Jason. 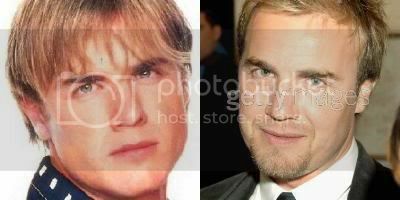 Although to be fair, the majority of times I've seen them recently, they all look better now than they did back in 1993. Howard by an old dosser mile. Howard looks a bit rough, but then he's always looked a bit rough. 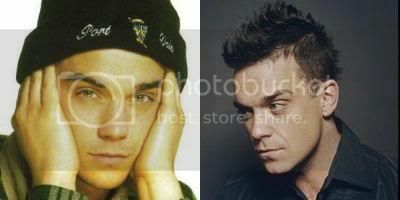 I've gone for Robbie- no longer the fresh faced youth he was, all those years of smoking and drugs have given he really lined face. Not ideal. Mark's sallow cheeks were the whole reason I started this! He was always supposed to be the young looking one, but time has bit him hard. Another vote for the 48-year-old Howard Donald. 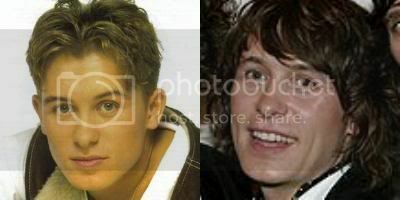 got to say Howard looking at the two pictures you'd be mistaken for thinking the one on the right was his dad..